“If you don't take [hiring] seriously, nobody else in your company is going to." 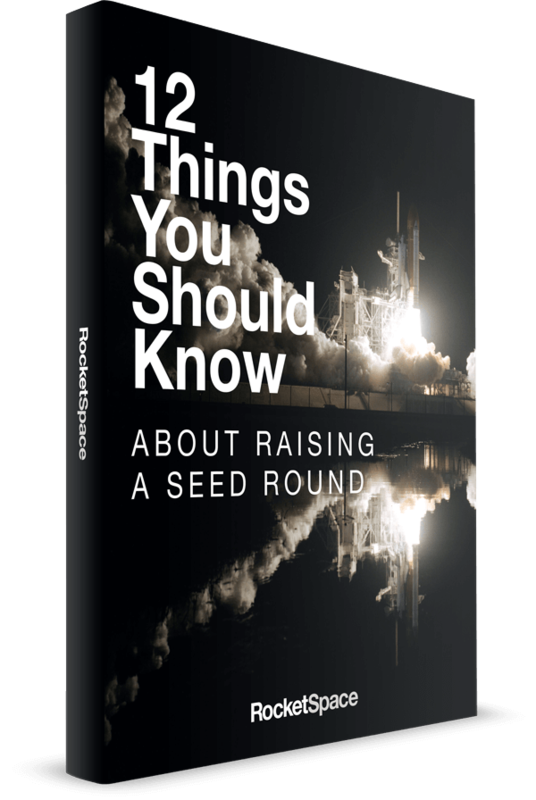 That was the advice of Leah Scanlan, operating partner at venture capital firm Khosla Ventures, to startup founders at a recent RocketSpace event about startup hiring and talent management. 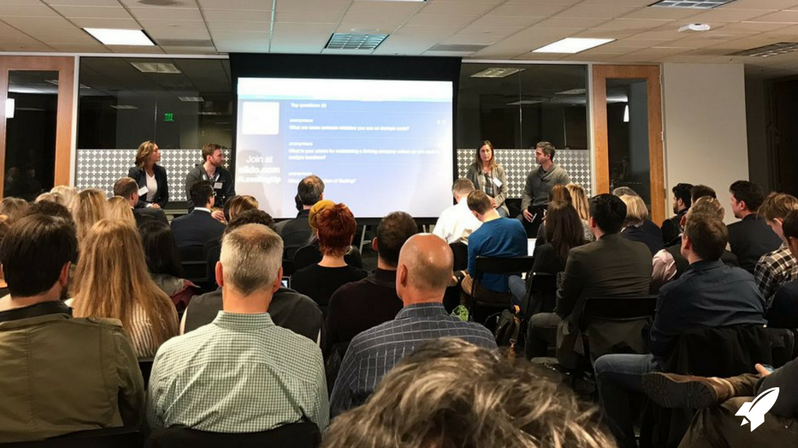 Alongside Scanlan on stage was Luke Beseda, who manages talent at Lightspeed Venture Partners; Redpoint Ventures Head of Talent Amy Knapp; and panel moderator Pete Lawson, Head of Talent at RocketSpace. In a panel that lasted just under an hour, the group addressed everything from measuring diversity and defining culture to optimizing the recruiting pipeline and working with search firms to find key executives. Below is a quick-fire list of the top 10 hiring tips the panelists gave for scaling your early-stage startup with top talent. Develop a method for tracking job candidate communications, whether it's a simple Google Doc or Spreadsheet, a more sophisticated tool like Greenhouse or Lever, or a project management tool your team already uses, such as Trello or JIRA. 2. Align your entire team on the company's mission and message. "The experience you create when [candidates] come in and meet with others is very important," says Scanlan. If your teammates lack passion or are off-message about what the company does, it doesn't leave a good impression on candidates. 3. Define your culture. A lot of startups like to describe their culture in broad terms, such as "transparent," "hardworking" or "open." Knapp suggests giving examples to candidates to clarify what those terms mean. An example of transparency, she explains, could be a startup's daily 9 a.m. standup, where everyone in the company discusses the company's priorities. An onboarding program: The first three months are critical for employee satisfaction. A performance feedback process: Even if it's just a basic conversation, employees crave feedback and growth. If you don't have these, the ping-pong table and beer tap aren't going to save you. 5. Know your employees' goals and keep track of their progress. Employees begin looking for other opportunities when they feel their growth isn't important or valued, says Scanlan. Emphasize development by introducing teammates to more senior mentors and advisors in their field of practice. This will help the business while helping individuals grow their networks and talents. 6. Have a strategy to make diversity a reality. Only 36 percent of startups have a diversity hiring goal, Beseda found in a recent survey of 150 early-stage startups (seed to series A round), and only four percent had a teammate tasked with making that goal a reality. If diversity is truly a goal, identify ways in which you can create inbound interest from candidates that meet your diversity definition. Whether it be race, ethnicity, gender, sexual orientation, educational background, professional experience or some other metric, pull levers that help you increase your inbound metrics. For example, Beseda recommends having a board member with a diverse network, encouraging employees to recommend more diverse candidates, and placing job listings at universities that have a significant number of the types of people you wish to reach. 7. Find and tweak the bottlenecks in your hiring strategy. Knapp says she worked with a startup that had a hiring process she described as "torture." It entailed two phone screens, a coding interview, an eight-hour on-site project and a team meet-and-greet. They came to her for advice as to why many candidates were dropping out before the final stages. She advised them to cut out the torturous elements. Startups should look to other startups and larger technology firms as examples of best practices and tweak their own processes when the funnel isn't working. Beseda says he likes to use "production hours per hire" as a key data point to measure hiring process effectiveness. If it takes 100 production hours to hire a new teammate, that's not a good sign, he says. But 30 production hours? That's a great start. 9. Make candidates feel special. Recruits want to feel like they're wanted and that they're joining a team that values their work. Once you're ready to extend an offer, have as many touch-points with the candidate as possible, suggests Scanlan. She suggests taking candidates out to dinner and including their partner or spouse. Founders could also have other teammates reach out to introduce themselves and be a sounding board for questions. Don't let an offer go unanswered for weeks without reaching out again. Rookie mistake—act fast! 10. If you use a search firm, align on personality and message. With ten years of experience in executive search, Scanlan says that startups looking to use a search firm to find executives need to jive well with people they'll be collaborating with at the search firm. "You're going to be joined at the hip," she says, so chemistry is important. Furthermore, the partner or teammate you're collaborating with will represent your company's message to the candidates they communicate with. Make sure the brand and message they're conveying is the one you'd convey if you were conducting the search yourself. When vetting search firms, ask questions such as: Who's doing the work on this account? What related searches have they done or are they currently doing? What are their successes?